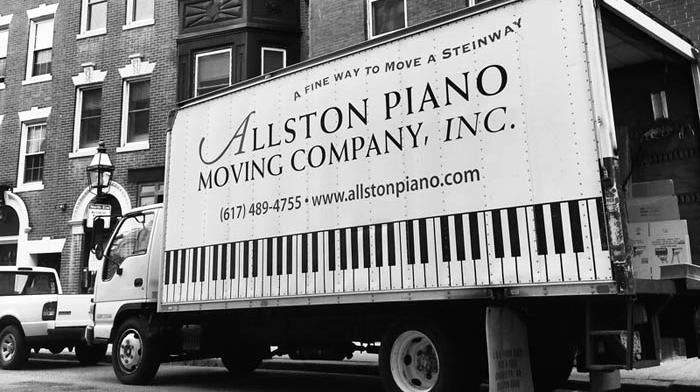 At Allston Piano Moving Company, moving is a highly skilled trade, passed down from parents to children and between generations. Founded in 1955 by former professional wrestler George Franklin, Allston Piano was a proud family business which he passed on to his son Robert Franklin. When Robert Franklin was ready to retire in 2010, Allston Piano was acquired by Gentle Giant Moving Company. With mutual regard for moving as a crafted skill, Gentle Giant has maintained the Allston Piano brand and traditions so that we can continue to provide superior service to piano lovers and owners throughout New England. A piano is not just a piece of furniture, but a delicate instrument that must be handled with the utmost care. All our employees are experienced, full-time, professional piano movers who have perfected an art form, take pride in their skill, and care about pianos. When you entrust your piano to the Allston Piano Moving Company you can have the confidence that your piano is in the best of hands. We are the piano moving company contracted by some of Greater Boston's most prestigious institutions, such as The New England Conservatory of Music, the Boston Conservatory of Music, Longy School of Music, Harvard University, Wellesley College, and Wheaton College. We are members of The Piano Technicians Guild. And we have moved pianos for performances by artists such as Tony Bennett, Ahmad Jamal, Billy Joel, Harry Connick Jr., John Williams, Andre Previn, and the Boston Pops, as well as the performance concert grands of Vladimir Horowitz and Van Cliburn. We are fully licensed and insured to move pianos throughout New England and New York State. Our company maintains the highest professional standards in the industry. Beware of moving companies who do not meet these standards.